We are excited to announce that our first short film, Fashion Feline – The Movie, took away four awards at this year’s Superman Celebration Film Festival. We won Best Picture and Best Actress in both the Amateur and Grab Bag categories. The Grab Bag category was for any movie that put a detective, a map, and a banana in their film. The funny part was that our movie coincidentally had those three items as integral parts even before we knew about the film festival! 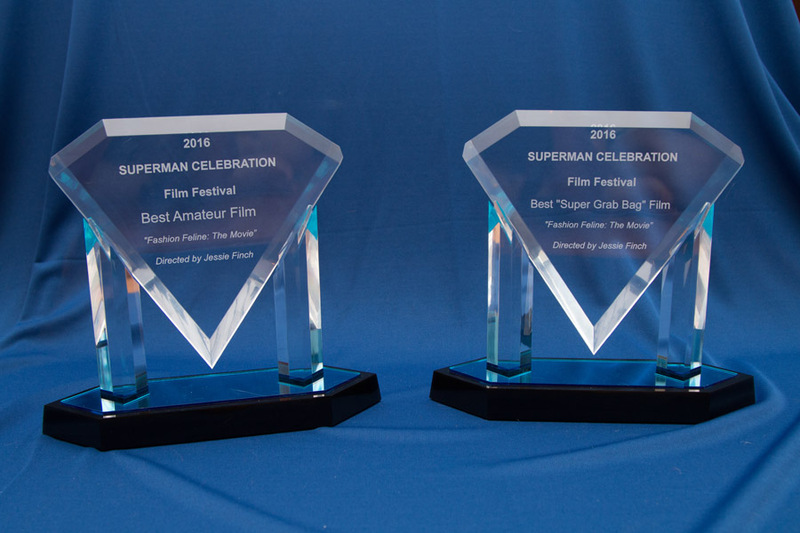 We would like to thank the Superman Celebration Film Festival judges for such an honor, and to all the kids and parents who helped make this film.